If you want to make sure your attendees leave your event feeling engaged and excited, here are several speakers with true amazing stories for you to consider. TED 2019 kicked off this week in Vancouver with the theme “Bigger Than Us.” We're thrilled to represent many TED speakers, so if you’re looking for a speaker to generate buzz at your next big meeting, look through this list first! Alex Stamos, the former Chief Security Officer of Facebook, recently stepped down from his position at Facebook and is new to the lecture circuit. Looking for a new female speaker with a dynamic, tech-focused presentation that breaks down today's biggest breakthroughs in AI, blockchain, bitcoin, robotics, and more? 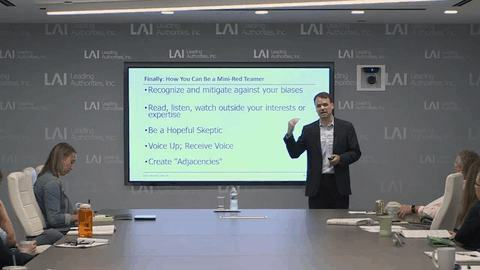 Here at Leading Authorities, Inc., a Washington, DC-based speakers bureau, our team of seasoned program consultants and event coordinators are ready to share a customized list of speaker recommendations for your event, hunt down the hard-to-find talent, provide speaker availability updates, and offer speaking fee quotes. We'll do all the speaker research for you, share the latest meeting topic ideas and newest industry trends, and handle the speaker's travel details and logistics, so you can focus on the big picture. We are often asked, "Who's hot right now?" on the speaker circuit. Our comprehensive roster of keynote speakers includes sought-after personalities in politics, business, and the media as well as people with incredible inspirational stories. These are the speakers that our clients turn to most often for their events. Listen to the debut episode of Amy's program "The Takeaway Fridays." "Facts and Fears" is #2 on the New York Times nonfiction best sellers list. Here is a list of the newest keynote speakers on the circuit. Be the first in your industry to book an amazing motivational speaker, business leader, or figure from today's hottest headlines. We get to preview them all and we've got great notes to share with you. From the depths of Antarctica and war-torn provinces in the Middle East and Africa to Silicon Valley garages and Fortune 500 boardrooms, these keynote speakers take audiences on a thrilling journey full of true, incredible, and awe-inspiring stories and action-oriented life lessons. Maxim writes about Erik's "Superhuman" adventures. Ebeling just launched "Podcast: Not Impossible." Listen now. We get a lot of requests for female business leaders at our speakers bureau and we are proud to represent some of the best. Check out some of our incredible female speakers from big brands, such as Google, Gatorade, Nike, the NFL, and many more. 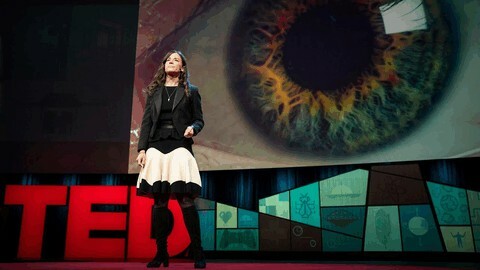 Watch Anjali's TED Talk - online now. We're proud to represent many TED speakers who deliver extraordinary talks on achieving what may seem impossible—whether it’s groundbreaking leadership, physical endurance, technological breakthroughs, or savvy business know-how. If you’re looking for a speaker to generate buzz at your next big meeting, check out our top recommendations below. How can you use stars to predict your own future? 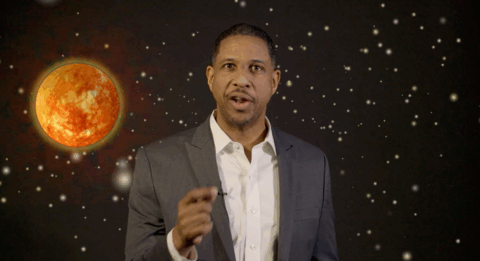 In this video, Dr. Hakeem Oluseyi, an internationally-recognized astrophysicist, professor, humanitarian, and TED Fellow, explains how he used his knowledge of stars and physics to plan out his life’s journey and succeed. 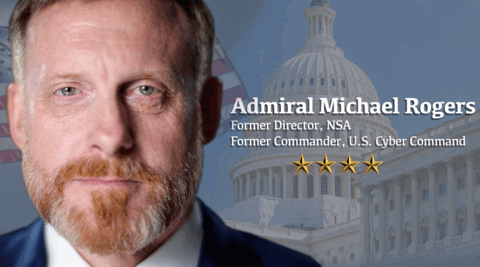 If you're interested in checking his speaking fees and availability for an upcoming event or to book Admiral Rogers to speak at your next conference or meeting, contact our team! 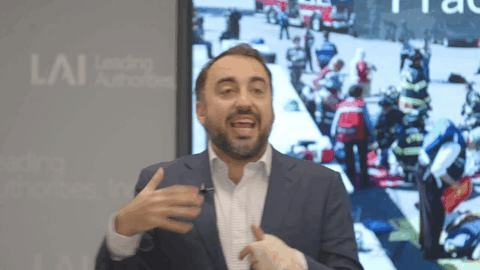 In this video, Alex Stamos, former CISO of Facebook and current Stanford Professor, talks about the evolving cyber security threat landscape. Stamos offers examples of businesses that have found themselves in the middle of geopolitical struggles and cyber warfare, and talks about the ways businesses can protect their interests from bad actors. After you watch the video above, visit Alex's speaker profile to learn more about his expertise and speaking topics and see if he would be a good fit to speak at one of your upcoming events. If you're interested in checking his speaking fees and availability for an upcoming speaking engagement or to book Alex to speak at your next conference or meeting, contact our team! In this video, Micah Zenko, the Director of Research and Learning, McChrystal Group and the author of the book, Red Team: How to Succeed by Thinking like the Enemy, talks about what red teaming is and how groups can use it to think like the enemy and get ahead of problems before they arise. After you watch the video above, visit Micah Zenko's speaker profile to learn more about his expertise and speaking topics and see if he would be a good fit to speak at one of your upcoming events. If you're interested in checking Micah's speaking fees and availability or to book him to speak at your next conference or meeting, contact our team! To get in touch with a member of our team right now, you can also email us at Contact@lauthorities.com, start a live chat with our team online, or call us at 1-800-SPEAKER. What happens when technology knows more about us than we do? Dr. Poppy Crum studies how we express emotions—and she suggests the end of the poker face is near, as new tech makes it easy to see the signals that give away how we're feeling. In her popular TED Talk, Dr. Crum explores the implications of technology that learns more about us as we use it, and advocates for a world where technology fuels human evolution and experience in a powerfully positive way. In a talk and demo, she shows how "empathetic technology" can read physical signals like body temperature and the chemical composition of our breath to inform on our emotional state. For better or for worse. "If we recognize the power of becoming technological empaths, we get this opportunity where technology can help us bridge the emotional and cognitive divide," Dr. Crum says. After you watch her TED Talk video above, visit Dr. Poppy Crum's speaker profile to learn more about her expertise and speaking topics and see if she would be a good fit to speak at one of your upcoming events. Interested in booking Dr. Poppy Crum for an upcoming event? To check her speaker fees and availability or to book Poppy to speak at your next conference, contact our team! You can also get in touch with us right now to discuss Poppy or another one of our incredible keynote speakers by emailing us at Contact@lauthorities.com, starting a live chat with a member of our team online, or calling us at 1-800-SPEAKER. 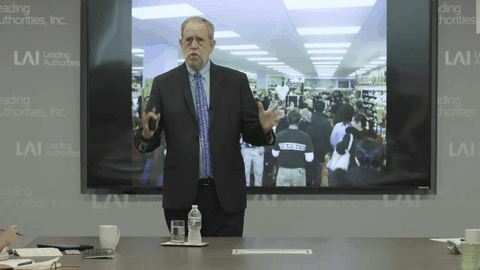 After you watch the video above, visit Doug Rauch's speaker profile to learn more about his expertise and speaking topics and see if he would be a good fit to speak at one of your upcoming speaking engagements. To get in touch with us right now to discuss Doug or another one of our incredible keynote speakers, you can also email us at Contact@lauthorities.com, call us at 1-800-SPEAKER, or start a live chat with a member of our team online. Ken Schmidt: Make Some Noise! 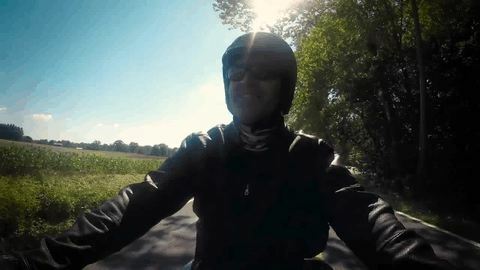 In this video, Ken Schmidt, the legendary former Director of Communications at Harley-Davidson Motor Company and one of the most sought-after speakers in the world, talks about his new book, Make Some Noise, and shares his full-throttle approach for businesses and individuals alike. Schmidt jumps into what determines customers choices, ultimately coming down to people, and reveals his exhilarating, innovative approach to creating customer loyalty and marketplace dominance. After you watch the video above, visit Ken Schmidt's speaker profile page to learn more about his expertise, areas of focus, and speaking topics and see if he would be a good fit to speak at one of your upcoming events. If you're interested in checking his availability and fees for an upcoming speaking engagement or to book Ken to speak at your next conference or meeting, contact our team today! To get in touch with our team, you can also email Contact@lauthorities.com, call us at 1-800-SPEAKER, or live chat with a member of our team right now. 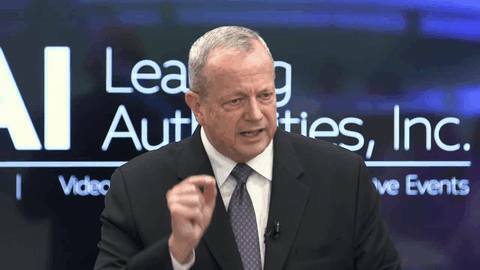 In this video, General John Allen, the former Commander of NATO and US Forces in Afghanistan and the president of The Brookings Institution, shares takeaways from his time leading on the battlefield and in the boardroom. Listen as he shares the tools he used to build consensus, get ahead of change, and recognize greatness in his ranks. After you watch the video above, visit General Allen's speaker profile to learn more about his expertise and speaking topics and see if he would be a good fit to speak at one of your upcoming speaking engagements. If you're interested in checking his availability and fees for an upcoming speaking engagement or to book General Allen to speak at your next conference or meeting, contact our team! To get in touch with our team, you can also email us at Contact@lauthorities.com, start a live chat with us online, or call us at 1-800-SPEAKER. We are far from developing robots that feel emotions, but we already have feelings towards them, says robot ethicist Dr. Kate Darling, and an instinct like that can have consequences. Learn more about how we're biologically hardwired to project intent and life onto machines—and how it might help us better understand ourselves. In this video, Dr. 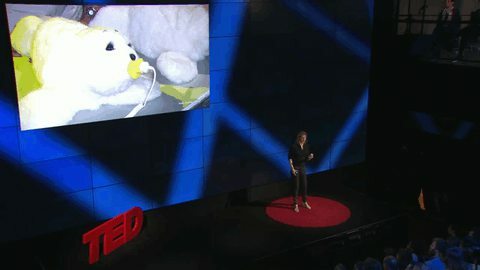 Darling, an MIT Media Lab Research Specialist, takes the TED stage to talk about why we love our Roombas robots and how we build these emotional connections with robots. After you watch this video above, visit Dr. Darling's speaker profile to learn more about her expertise and speaking topics and see if she would be a good fit to speak at one of your upcoming events. If you're interested in checking Dr. Kate Darling's speaking fees and availability or to book her to speak at your next event or conference, contact our team! To get in touch with a member of our team right now to discuss Kate or another one of our incredible keynote speakers, you can also email us at Contact@lauthorities.com, call us at 1-800-SPEAKER, or start a live chat with our team online. We love working with our clients and they love working with us. Together, the three divisions of Leading Authorities, Inc. create and tell stories that inspire action and drive change. At Leading Authorities speakers bureau, we represent the talented speakers who “wow” audiences every time they hit a stage. See how our people can collaborate with your team to create great content, effective communication campaigns, and impactful events. Individually, we never fail to impress—see what can happen when you engage a combination of our team.